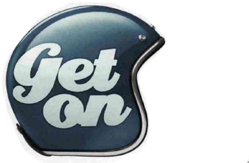 Motorcycling evokes a deep passion inside of us and it's this passion that drives us to provide one of the best Motorcycle Training Services in the county. At 'Two Wheels' Training is Made Easy! Sometimes choosing the wrong school can be stressful and expensive, we aim to cater for your needs and make biking a fun and exciting experience, whether it's to be a weekend hobby or to commute to and from work. Currently about 40% of our Direct Access trainees are female, because of these rising statistics we have a purposely lowered Direct Access bike for confidence building if needed. Riding a powerful motorcycle doesn't necessarily require strength but delicate control. This is why we have great results when teaching female riders. 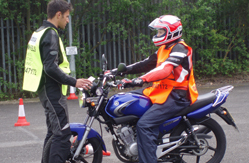 We are always happy to give advice on motorcycling and motorcycle safety to schools and colleges and currently run a basic course for under sixteen's at The Opportunities Centre, Camphill Industrial Estate. 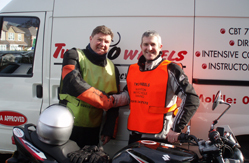 We have a full range of courses and can cater for all types of rider. We cover Nuneaton, Atherstone, Bedworth, Coventry, Leicestershire and surrounding areas.